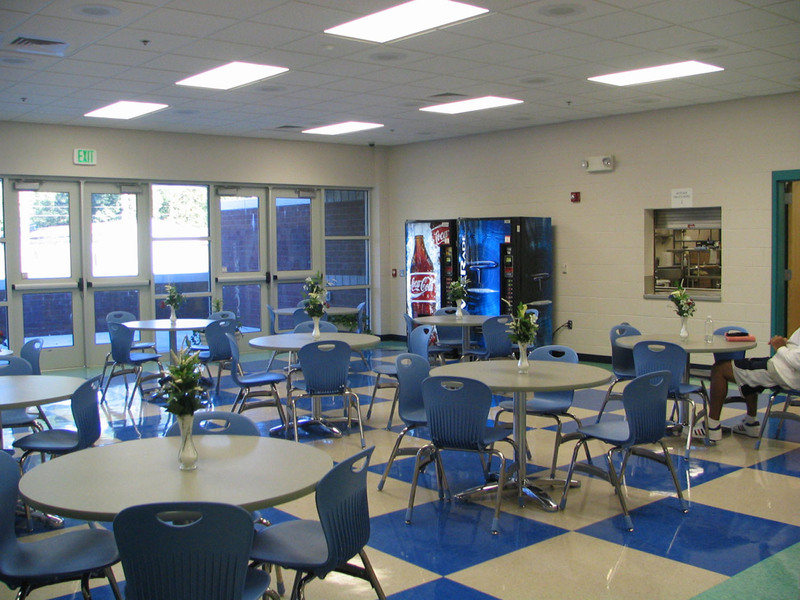 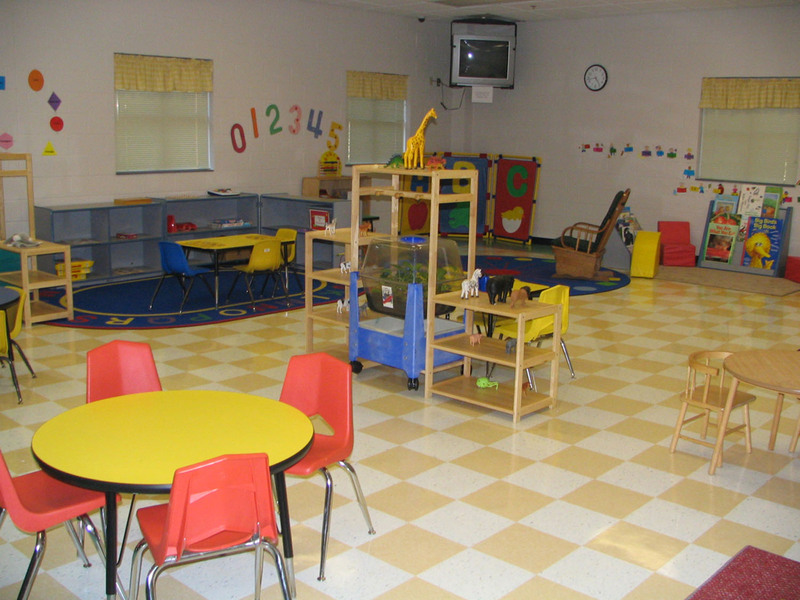 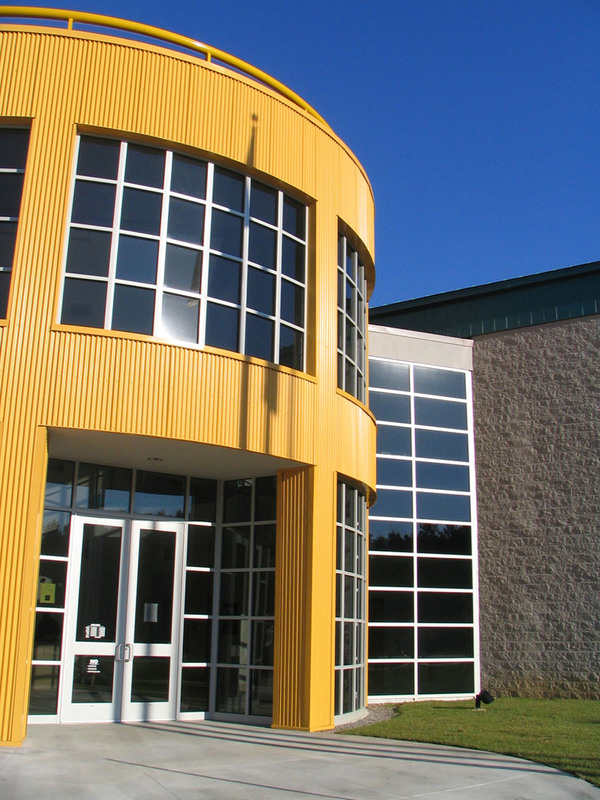 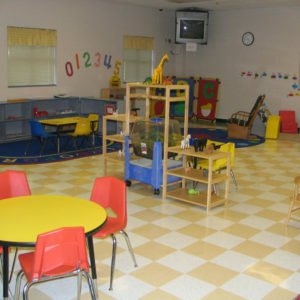 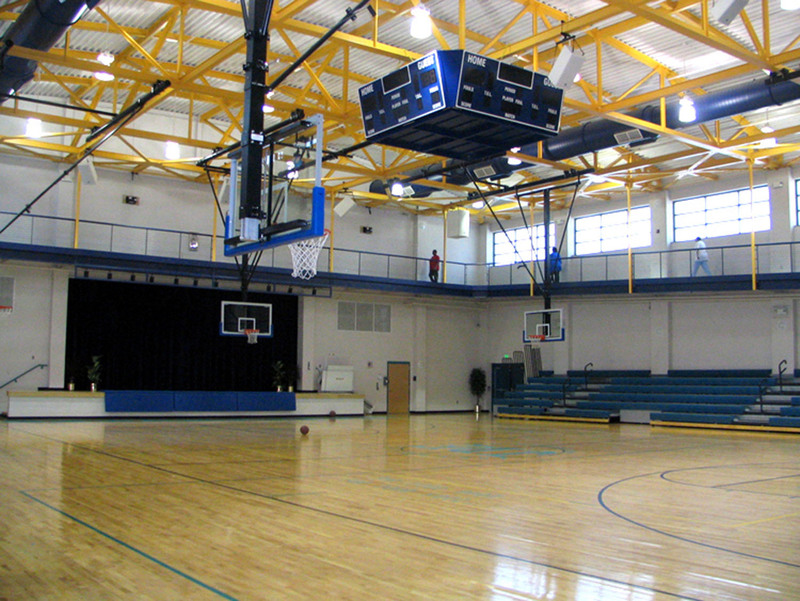 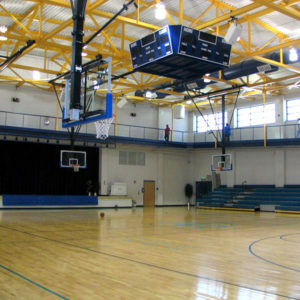 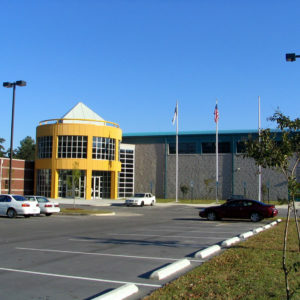 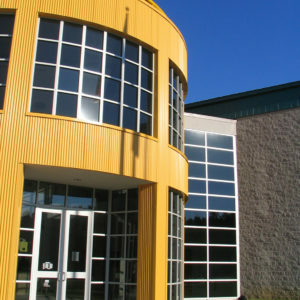 A two-story, recreation and athletics facility equipped with nursery, fitness and dining areas. 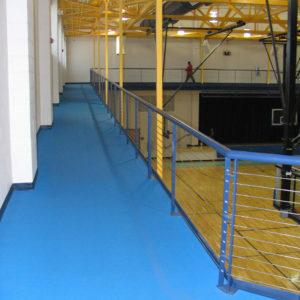 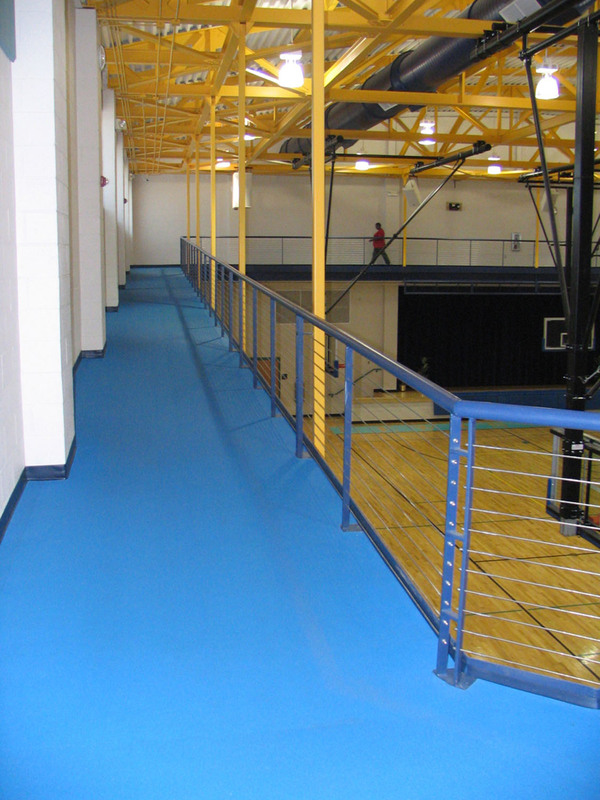 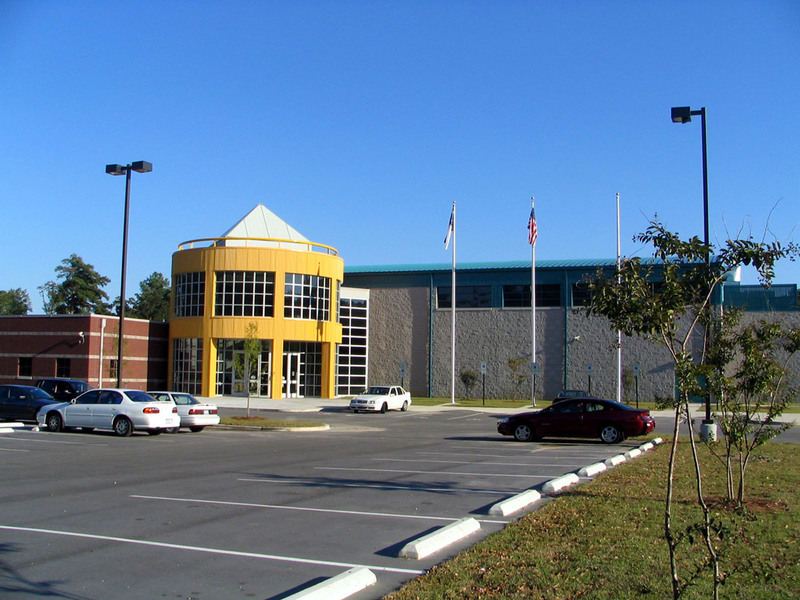 Building also includes a gymnasium with an elevated walking track, stage (with dressing rooms and restrooms) and retractable bleachers to seat 522, a 2-story circular lobby with a translucent skylight, multi-purpose space, a kitchen with a café, an aerobics/exercise room, classrooms, a computer education center, and offices. 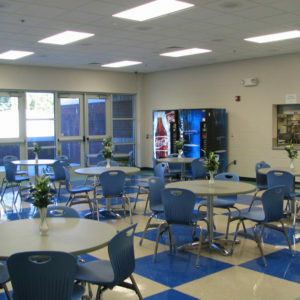 This project was designed as a “family life center” for the Lewis Chapel congregation & community.